The top half of the draw has a distinctly German feel to it as Goerges and Kerber are joined in the top section of the draw with the number one seed, Sabine Lisicki and Mona Barthel. Lisicki has the talent to beat anyone in the draw but I have a sneaky feeling that she won’t win this week in Auckland. Lisicki opens her 2012 campaign against Virginie Razzano and I think she will win a few rounds before coming unstuck against Kerber. A name to watch out for this week is Flavia Pennetta. I never seem to predict good things for Pennetta but I think she is going to start 2012 in style. She starts off against Sorana Cirstea and has a pretty nice draw. She also showed good form in a recent exhibiton in Singapore where she beat both Sam Stosur and Agnieszka Radwanska. Admittedly its only an exhibition, but i’m still backing Flavia for some success this week. Pennetta is scheduled to meet Roberta Vinci in the quarter-finals, who opens up against the big-serving Canadian, Rebecca Marino. I predict that Vinci will be knocked out in the second round by Magdalena Rybarikova. In the bottom section of draw, the number 7 seed is Yanina Wickmayer who is returning to action after she missed all the events after the US Open with a back injury. Wickmayer has enjoyed success in Auckland before, winning the title in 2010 and reaching the final in 2011 so she will be a threat this year for sure. She will play a qualifier in the first round and is projected to meet Svetlana Kuznetsova in the first round. You never quite know what you are going to get from Kuznetsova – sometimes she can be majestic and other times she is horrendous. I feel she is past her best now and will have trouble getting past the dangerous American, Christina McHale in the second round. McHale has also beaten Kuznetsova twice before so I would fancy McHale to do the treble. McHale opens her tournament against Alexandra Dulgheru, a match i’m confident that she will win. In the bottom section of the draw, the number two seed Peng Shuai will take on a qualifier. Peng will be seeking her first ever WTA title and she has a pretty good draw here; however she will have to get a little lucky if she is to break her title duck this week. She could meet the explosive, Lucie Hradecka in the second round. Hradecka has the power to knock anyone off the court, however like many WTA players she lacks the consistency. For example, last year she went on a staggering eight match losing streak. Peng’s consistency should just be enough to get past Hradecka. Peng is projected to meet Monica Niculescu in the quarter-finals. 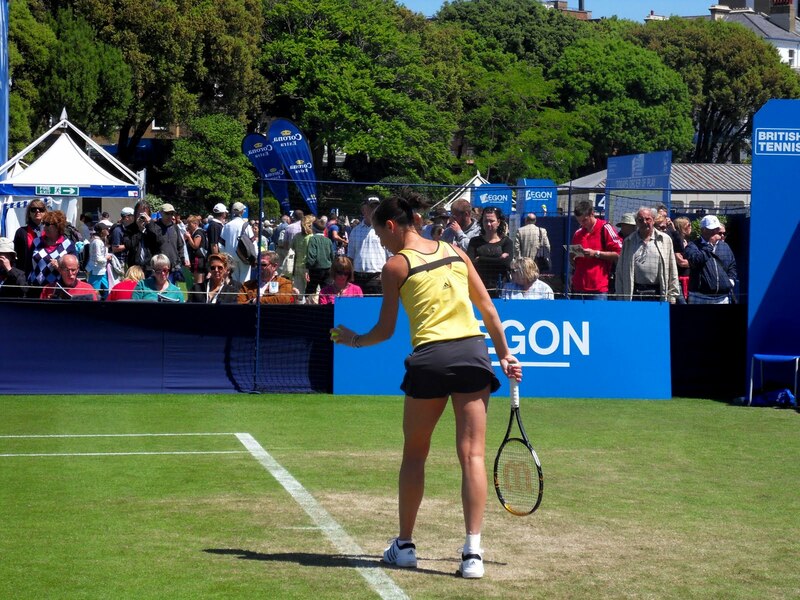 Niculescu can be a dangerous opponent as she showed towards the end of 2011. She makes up for her lack of power and potency (in particular with her serve) with grinding at its best and a peculiar slice that seems to throw her opponents off. Peng will need to be at her patient best to get past Niculescu. If Peng does manage to find her way to the final, she will hope that she doesn’t have Pennetta or Lisicki waiting for her; in particular, Pennetta has had a lot of joy against Peng with a 6-0 head-to-head record. Pennetta def. Peng – As I mentioned in the article, I think Pennetta is going to have a good week. Unfortunately for Peng, I think she will meet her arch nemesis in the final and come unstuck. Christina McHale, who is my tip to make the semi-finals and potentially the final! I’m a little on the fence as to whether she will have enough to actually reach the final. McHale really made a name for herself during the American hard court season earlier this year with stunning wins over Wozniacki, Kuznetsova and Bartoli. After watching how well she played in the Bartoli match, I am confident that McHale will be making some headlines this year. To be honest, there are no first round bets that I fancy much! If I had to pick one, I would go for Magdalena Rybarikova to beat Elena Vesnina at 11/10 with Stan James. NEXT – Reviews from the first week of 2012 tennis action!!!!!!! !